Advertiser.ie - People of the Tribes : Meet Cian. Hi, I'm Cian. 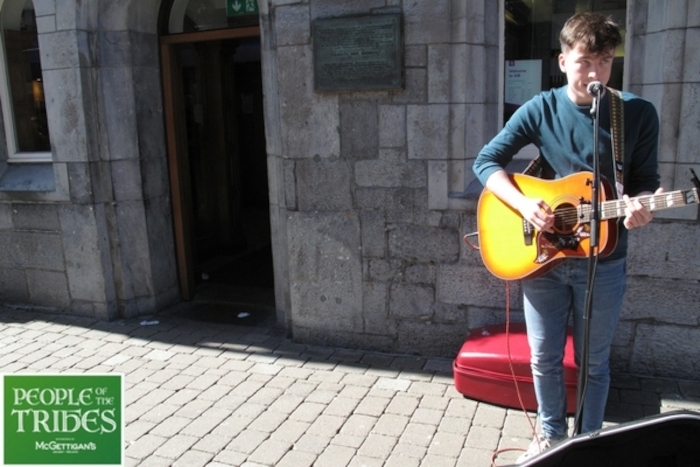 I'm a 20-year-old singer-songwriter from Galway city and I've been busking for about three years. My songs are heavily lyrics-based, acoustic indie-folk. I've been studying poetry this year as part of my college course (Arts with Creative Writing ) so that's kinda tied in with the songwriting...i.e. I've been able to write songs and call them poems. I'm mainly influenced by Irish singer-songwriters in the same genre - the likes of Damien Rice, Fionn Regan and Dermot Kennedy...anyone that writes nice folk-y, story songs. I'll be busking and gigging around Galway all summer and although I've got a decent body of songs written, I'm picky enough to have not put any of them online yet...I'll be throwing some videos up online in the next few months but I'm not sure exactly when I'll be recording and releasing them properly yet.